When I have a problem, the customer representatives explain it good. Every time I have called I’ve had excellent service. I just wish they had more communication with the debtors instead of not communicating with them until they have enough money to communicate with them. They’ve been great. They just kept me informed and have been real good. They were always there to help me and they kept me up to date through emails and text messages. They explained to me everything that I needed to do in order to get rid of my debt as quickly as possible. It works and I am back on the road. I am glad I signed up. They really took a load off my mind. Whenever I had a question or concern, they always responded in a timely manner. It runs smoothly and some of my debt has already been resolved. They worked with me to get rid of my $20,000 debt and I love them for it. They are very kind and respectful. I like that they send me emails that keep me up to date on the progress of my debt. They are always there when I call and help me with everything I need. They are very helpful and are easy to get a hold of. They really care about their customers. Their service is very fast. I was reluctant at first, but the very first person I spoke to encouraged me to get into the program and I am happy that I did. They are all very courteous, kind, and helpful. They keep me informed and are diligent workers. They have answered all of the questions that I have had. They have outstanding customer service and are very polite. They have brought my debt down almost 50% already. Using them has been one of the best decisions I have made. I was worried at first, but I have no regrets. I think they are the best around. I tried a different company and I got ripped off. 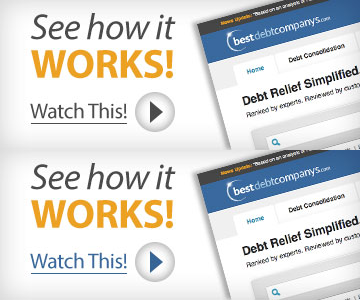 Freedom Debt Relief gets the job done. I love that they always are in communication with me about the status of my account. They have been honest about everything and have resolved things quicker than I had expected. They are very knowledgeable, and they offer good advice. They always kept me up to date on their website. Every few weeks I get an email with an update on their progress. I am very happy because they have followed through on their promises. Very happy to have some one on my side. I would not have ever got out of dedt with my spending problem. I realize this is my second chance to get my bills in order with some great help from Freedom. Very very good service. This company is absolutely comfiable. They speak Spanish and English. the attention is wonderful, negotiate your accounts well and we can approve, sincerely it is worth working with them on the financial situation. I recommend them 100%. I have been very satisfied so far. The customer service has been good and reliable.